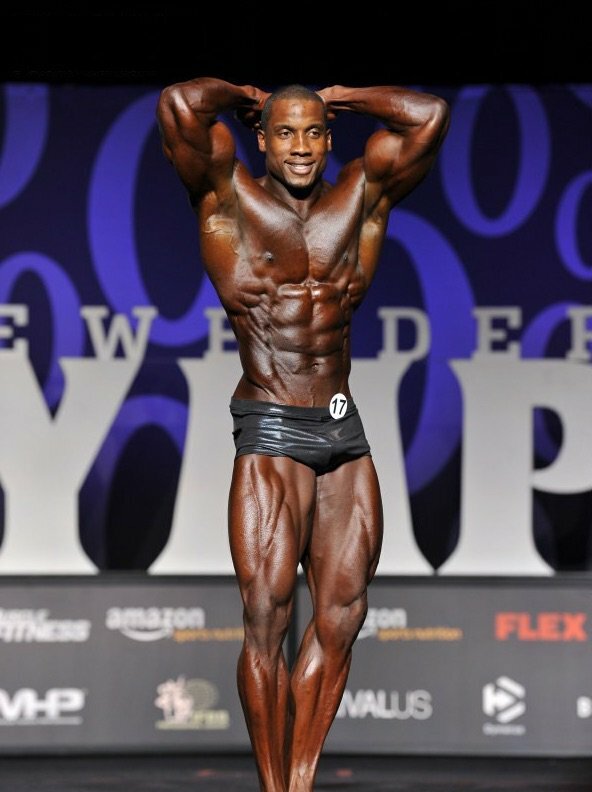 Breon Ansley, Old School Labs Ambassador, blew away his competition and edged out Canadian newcomer Chris Bumstead to win the second-ever Mr. Olympia Classic Physique Olympia title Friday night. The following evening, Phil Heath earned his seventh Mr. Olympia trophy in the main contest. Here’s how it all went down during the 2017 Mr. Olympia weekend at the Orleans Arena in Las Vegas, Nevada. Displaying flawless conditioning and excellent proportions, Breon Ansley, 2017 IFBB New York Pro champ and Old School Labs ambassador earned the division’s most prestigious title taking the Classic Physique Mr. Olympia 2017 contest on Friday, September 15 2017. Here’s how it played out! Ansley, the 2017 New York Pro champ, simply nailed his conditioning and detail. The 195-pound competitor has expertly proportioned his physique into the highest standards of the Classic ideal: wide shoulders, thin waist, sweeping quads, and tightly etched abdominals, all of it packed with high-quality muscle density. It’s difficult to believe Ansley once competed in the 212-pound division, and his transformation to his current Classic aesthetics should inspire other larger bodybuilders to give this fast-growing category a try. A superb poser with pleasing lines and muscle control, Ansley displayed a high degree of class and professionalism, and will be a tremendous ambassador for the Classic Physique division. Despite Ansley’s advantages in shape and performance, he faced a tough challenge in Bumstead, fresh from his victory at the Pittsburgh Pro. The Canadian-born Bumstead, coming in at 224 lb at a height of 6’1″, finished only three points behind Ansley, but couldn’t quite match Breon’s polish, charisma, and shoulder-to-waist ratio. Performance matters, and Ansley’s gifted posing and engaging routine earned him the extra marks from the judges. 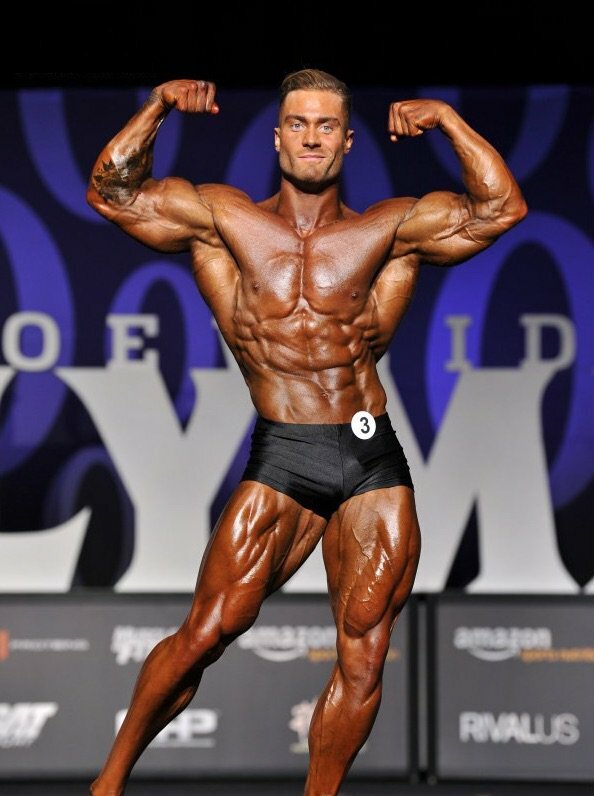 But Bumstead made it close, and even thrilled the crowd with a classic vacuum pose. This makes future battles between Ansley and Bumstead intriguing, and sets up an exciting rematch, perhaps as early as the Arnold Sports Festival next year. Finishing third was George “Da Bull” Peterson, who brought the size but didn’t have enough balance and conditioning to come close to the top two placers. 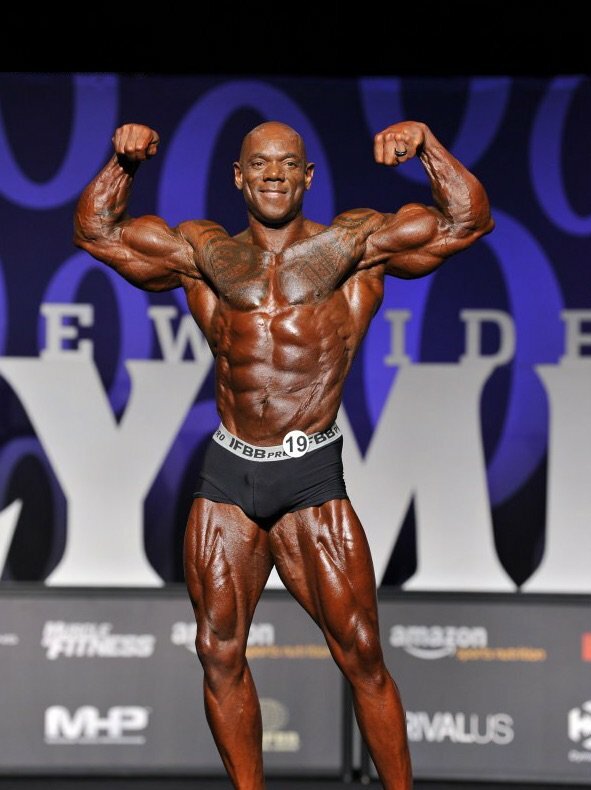 The New York bodybuilder impressed with his imposing musculature at 5’8”, 187 lb , but Peterson doesn’t yet possess the proportion he needs to take the crown, as his upper-body overpowers his legs. He should be able to correct this in future events, so watch for Da Bull to contend in the big shows next year. Fourth place went to last year’s runner-up Arash Rahbar who came in at 210 lb at a height of 5’11”. 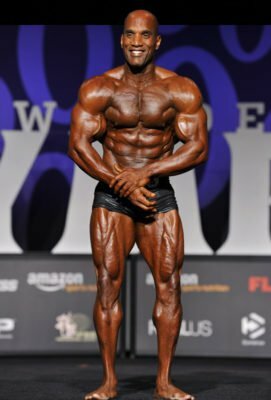 Rahbar lacked the some of the tight conditioning he displayed last year, and his shoulder-to-waist ratio could use a bit of work, as his mid-section wasn’t as contoured as the competitors who finished in front of him. Still, Rahbar sports high-quality muscle, which he displays to its ultimate advantage in his stage presence and posing abilities. He’ll be back. 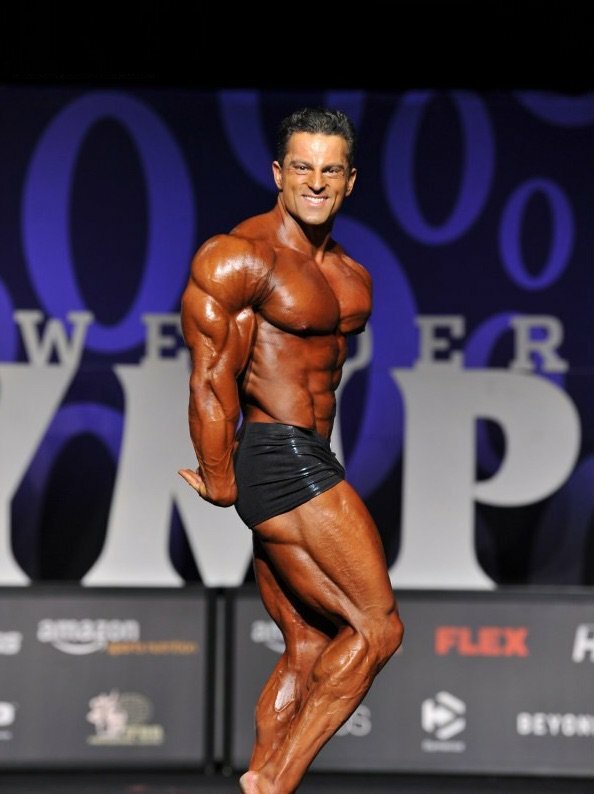 Fifth went to last year’s Classic Physique Olympia champion Danny Hester. 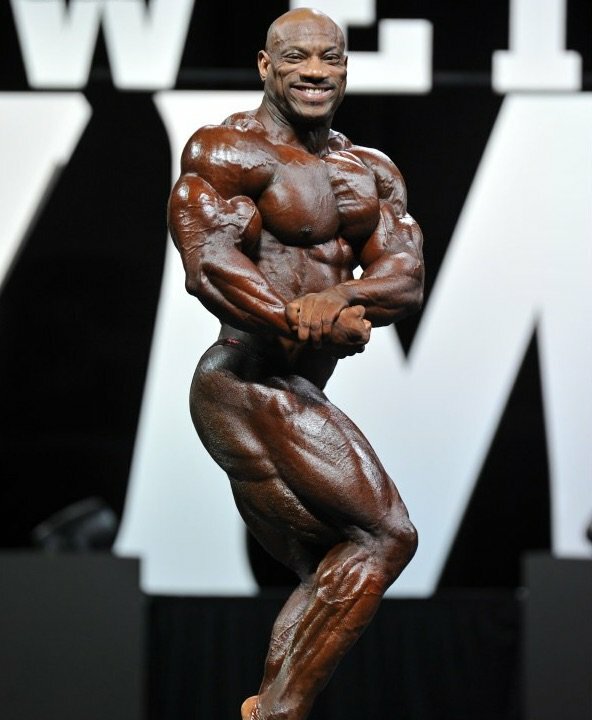 At only 5’6 and 175 lb, Hester packs a lot of dense muscle on his compact frame, and at 48 years old, his level of development earns him a ton of respect and admiration from fans around the world. While he wasn’t too far off his conditioning from his winning physique from last year, Hester has never faced a lineup like the one that took the stage in Vegas on Friday night. This division is gaining tremendous talent exponentially every year, and it will only get better. The 52-year-old bodybuilding legend made a spirited and impressive return to the stage Friday night, sporting a well-structured physique that fit well in the Classic category. After a long retirement from the stage and health problems that resulted in a kidney transplant, Wheeler (5’10”, 210 lb) showed he still has the incredible genetics and stage presence that made him a superstar in the 1990s and 2000s. In the Classic division, he had the misfortune of coming up against some of the best young talent bodybuilding has seen in some time. Wheeler could only manage a 15th place finish, but that shouldn’t dim his accomplishment. After his performance, Wheeler, who had entered the show via a special invitation, gave an inspiring message to the crowd about overcoming obstacles in life to follow your dreams. On Friday night, he showed how it’s done. Timms was expected to compete for top five positioning, but he came in off and dropped all the way down to 14th place, just ahead of Wheeler. A cancer survivor and former member of the U.S. Air Force, Timms is a hard worker who won’t let this setback rattle him. He’ll be back. Another great from decades past, Charles was slated to finish in the top eight, but could manage no better than 13th place. Still displaying a great Classic-type structure, the 48-year-old just couldn’t dial in his conditioning Friday night and paid the price. Ruffin (sixth place) and McDuell-Batiste (eighth place) came out of nowhere to pressure the top five and serve notice that they are forces to reckon with. Ruffin, only 22 years old, is the youngest Classic Physique Olympia competitor ever, and at 5’5” and about 145 lb, one of the smallest. His excellent lines and conditioning proved he belongs with the big boys. 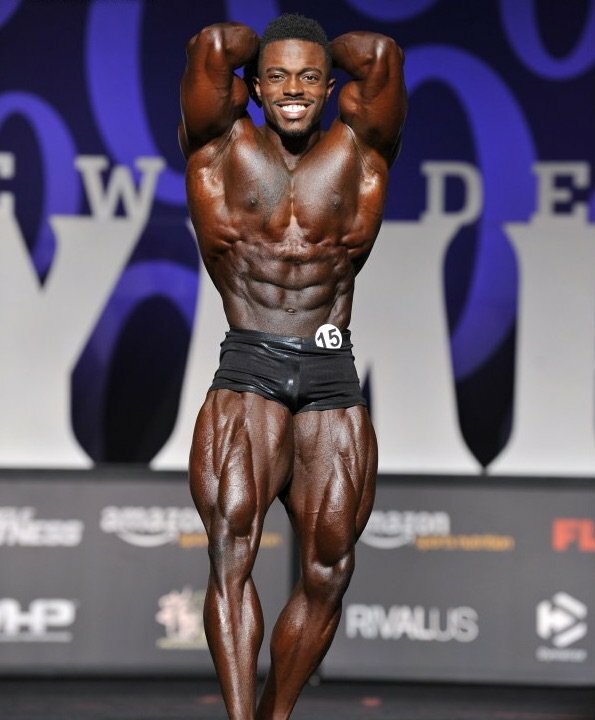 McDuell-Batiste, the 2017 Vancouver Pro Champ, stunned the crowd with his tremendous structure and symmetry. The Navy veteran is a newcomer to the sport—this is only his second year competing—but he showed he’s the real deal Friday in Vegas. 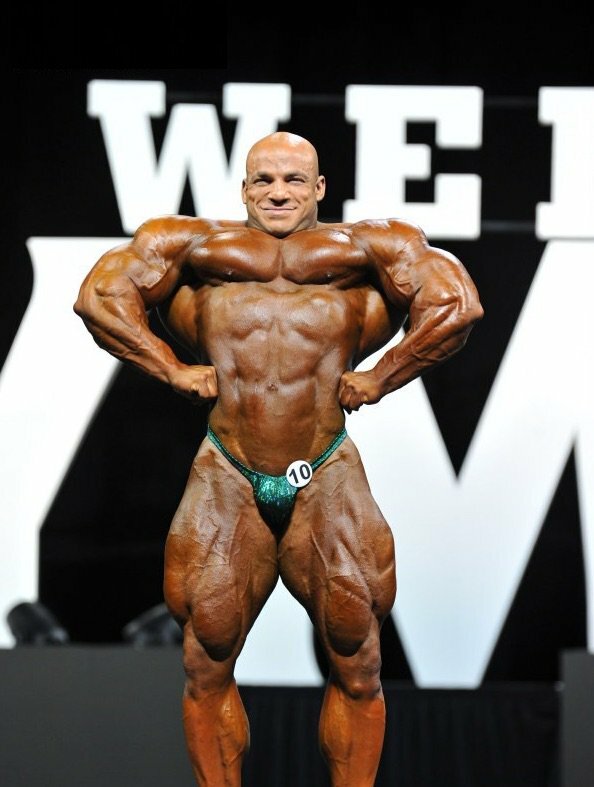 As anticipated by many, Phil “The Gift” Heath won his seventh Mr. Olympia title, but he was challenged to the very end for the Sandow statue by Mamdouh “Big Ramy” Elssbiay. Ramy lived up to his nickname, displaying a massive physique in his best condition ever that nearly shocked the bodybuilding world by pushing Heath out of the winner’s circle. Bodybuilding’s biggest event of the year was spectacular this year with an appearance by the biggest movie star in the world, Dwayne “The Rock” Johnson. The Rock was on hand because his production company was filming a documentary about the Mr. Olympia that will appear on TV at a future date. The big announcement of the winner of the Mr. Olympia was handled this year by The Rock instead of Mr. Olympia emcee Bob Cicherillo. The crowd loved it! Here’s how they placed at the Orleans Hotel on Saturday. Heath tied Arnold Schwarzenegger’s record of seven Mr. Olympia wins with his victory Saturday night. As usual, Heath was very confident and sure of himself from the beginning of prejudging on Friday night until the conclusion of the finals on Saturday. He has a tremendous amount of belief in his ability to be the best bodybuilder in the world, and that determination combined with his awe-inspiring genetics are an unbeatable combination. Phil had a slam dunk victory at last year’s Olympia and his condition this year was nearly as good. His back poses showed the thickness and detail that have allowed him to dominate the biggest contest in bodybuilding seven times. His only flaw was letting his stomach hang out during prejudging on Friday. Heath’s waist has gotten thicker as he continues to get bigger, and he had to keep his mid-section under control at every moment onstage. 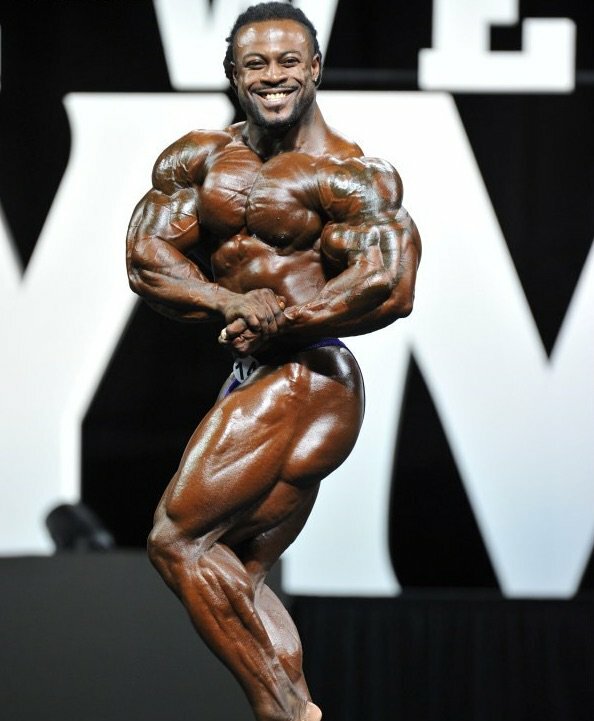 Heath was confident again on Saturday for the finals and, to his credit, was the only bodybuilder in the top ten who did a well-executed and conceived posing routine (he posed to the theme music from “Conan the Barbarian”). All the other competitors had somewhat uninspiring music or simply didn’t seem to have a choreographed routine planned out for their presentation. That makes a difference. Heath was pushed hard by Big Ramy during the comparisons on Saturday. His hardness and excellent conditioning, along with his professional stage presence and confidence, allowed him to stay comfortably ahead of the massive Egyptian. Heath’s win was an emotional one as he realized how special it was to tie the great Schwarzenegger’s record of seven wins. 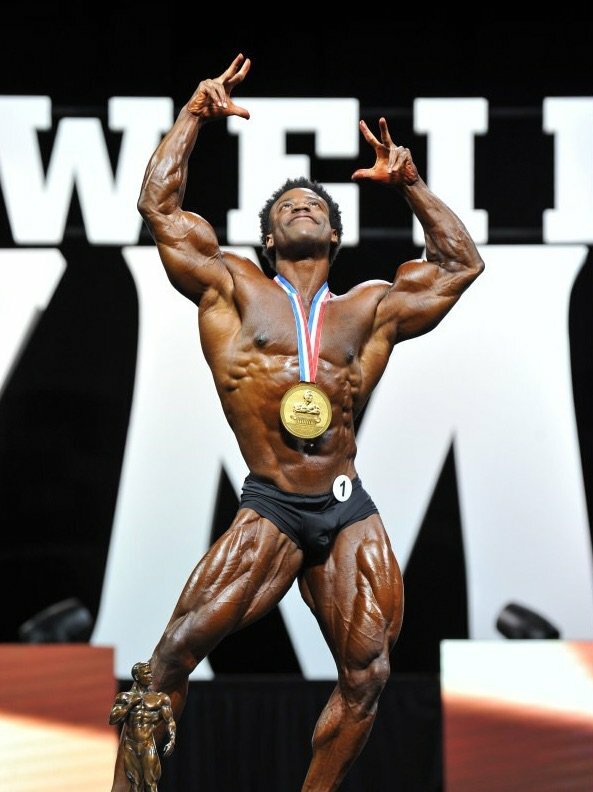 With only one more Sandow needed to tie the record of eight titles held by Lee Haney and Ronnie Coleman, Heath is young enough to snag the coveted all-time record of nine Mr. Olympia titles. He just may do it. Big Ramy has been a fan favorite at the Mr. Olympia for several years now. The biggest bodybuilder competing today, Ramy can step onstage at 300 pounds in ripped condition while standing only 5’9”. After placing fourth last year, the Egyptian bodybuilder stepped onstage this year with considerably more confidence and improved stage presence. His wide, thick physique challenged Heath, and he appeared to beat the reigning champ in several key mandatory poses. Big Ramy’s humble and respectful persona combined with his jaw-dropping, massive physique has inspired bodybuilding fans around the world to look to him as the man to knock off Phil Heath as the king of bodybuilding. In the end, this wasn’t the year for Big Ramy, but he came closer than ever by finishing runner-up Saturday night. Still young at 33 years of age, Big Ramy has all the potential in the world to pull an upset next year and prevent Heath from winning anymore Mr. Olympia titles. One of the most impressive physiques of the weekend was that of William Bonec. Bonec took fifth place last year at the Mr. Olympia and moved into the top three this year by displaying one of the thickest and most dense physiques currently competing today. Bonec’s only weakness is his height and somewhat narrow structure. However, he makes the most of what he has by packing his physique with rock-hard, dense muscle in great condition. Many spectators thought he belonged in second place, as he was in better condition than anyone else onstage and hit his peak perfectly. His third-place finish tonight was his best to date, and he’ll continue to shock both his competitors and the judges alike with his spectacular physique in the future. 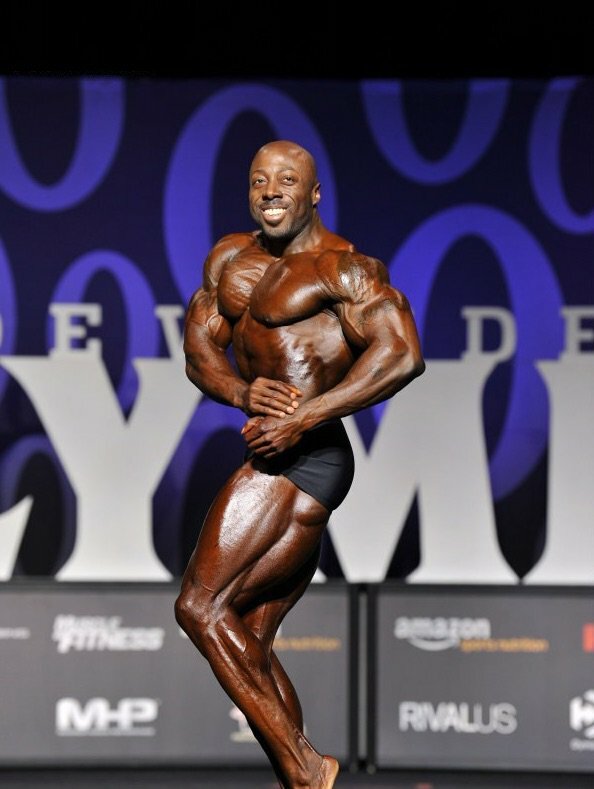 Dexter “The Blade” Jackson also dropped out of his normal top-three placing at the Mr. Olympia 2017. One of the sport’s oldest and most experienced competitors, he’ll celebrate his 48th birthday this year but doesn’t show the typical signs of aging that most bodybuilders display when they get on the other side of 40. Although the Blade was not at his all-time best, he still displayed a physique that had plenty of muscle mass along with excellent conditioning and symmetry. He devoted all of 2017 to prepare for the Mr. Olympia, and his work ethic and commitment to the sport cannot be questioned. It may just be that time has run out for the 2008 Mr. Olympia winner, and his physique is slowly starting to show the signs of aging. After placing runner-up to Heath twice, Rhoden was considered one of the favorites to win the title. He tried adding some size to his physique this time to knock out the champ, but, unfortunately, he sacrificed his traditional sliced condition for the added pounds of muscle. Without his trademark cuts and details, he dropped out of the top four for the first time in three years. Rhoden’s strengths include his great shape and symmetry, including a tiny waist, shredded abdominals, and all-around flowing musculature that has all the ingredients of a future Mr. Olympia winner. He still has some improvements to make. His back suffers in comparison to his classically developed front-facing poses and his massive quads, but his back looked even weaker this year because of his lack of conditioning. Rhoden will recover and improve from his showing this year. He will need to compete in his normal ripped condition to have any hope of unseating the champ. McMillan was coming off a very impressive win at the Arnold Classic in March, so many of his fans had high hopes for his appearance at the Mr. Olympia 2017. Unfortunately, he was not in the same condition at the Olympia as he was in his dominating win in Columbus, and he dropped down to 10th place. McMillan is one of the few bodybuilders onstage at the Olympia who could not only challenge but potentially beat Heath for the title. At 6’1”, McMillan has the structure and size to dominate any contest he enters. He has the classic old school bodybuilding look that so many fans love. He just needs to nail his conditioning and show that hunger. With his genetics and more dedication to the task at hand, McMillan has the potential to stop Phil Heath’s march into the record books. Lenartowicz was coming off an impressive win at the Tampa Pro one month earlier and was expected to place very high at the Mr. Olympia this year. Unfortunately, he was undoubtedly affected by the tragic death of fellow pro bodybuilder Dallas McCarver who died suddenly on August 22. The two were close friends, and Lenartowicz was staying with McCarver in Florida, training with him as he prepared for the Mr. Olympia title. It would be hard for anyone to focus on getting ready for a contest after the unexpected death of a close friend & partner, so it was impressive for Lenartowicz to perform as well as he did. Brandon earned the nickname “The Prodigy” for his incredible genetic potential, but until this year, that promise was mostly unrealized. That’s all changed. Working with a team over in Kuwait, Curry made improvements to his 5’7” frame, taking the stage in Las Vegas weighing over 250 pounds. He has great shape with a small waist and big muscle bellies, but his upper body has always dominated his legs in the past. The added muscle mass corrected that. Curry was in top shape this year and made the first call-out at the Mr. Olympia in the prejudging. He could have placed a few notches higher and no one would have complained. Big Roelly was the first competitor to pose at the Mr. Olympia 2017 this year, but it didn’t start well. 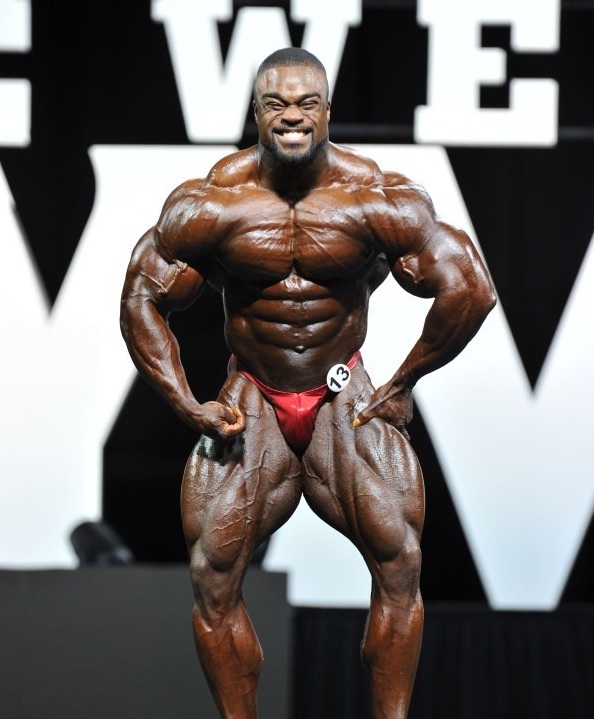 Winklaar has all the size in the world, including some of the biggest arms ever in the sport, but he appeared to be holding some water when he first came out for prejudging. As he continued to pose, his physique got harder and Winklaar started looking more dangerous. On Saturday night, he was much improved as soon as he stepped onstage. His incredible muscle mass was highlighted by a harder condition, and he crawled his way up to a sixth-place position. 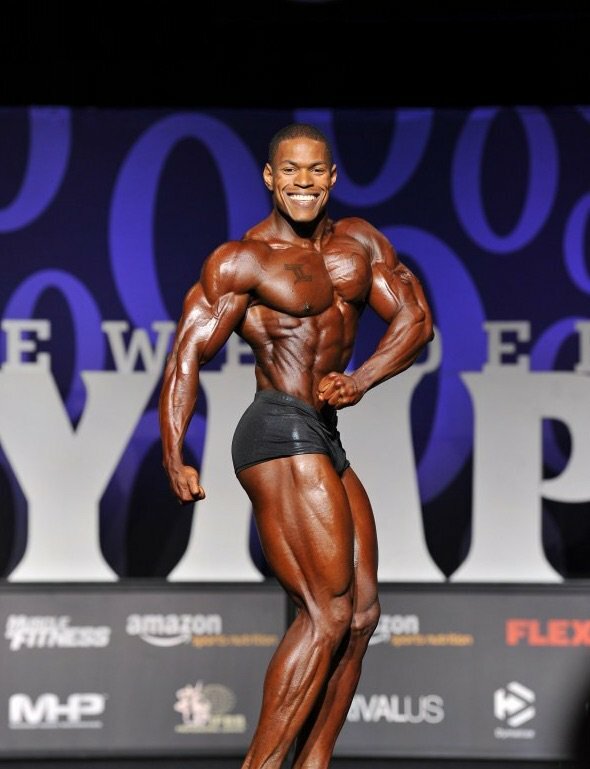 This was Winklaar’s highest placing in the Olympia to date, and as long as he comes in hard and ripped, he will always place high because of his huge muscle size.